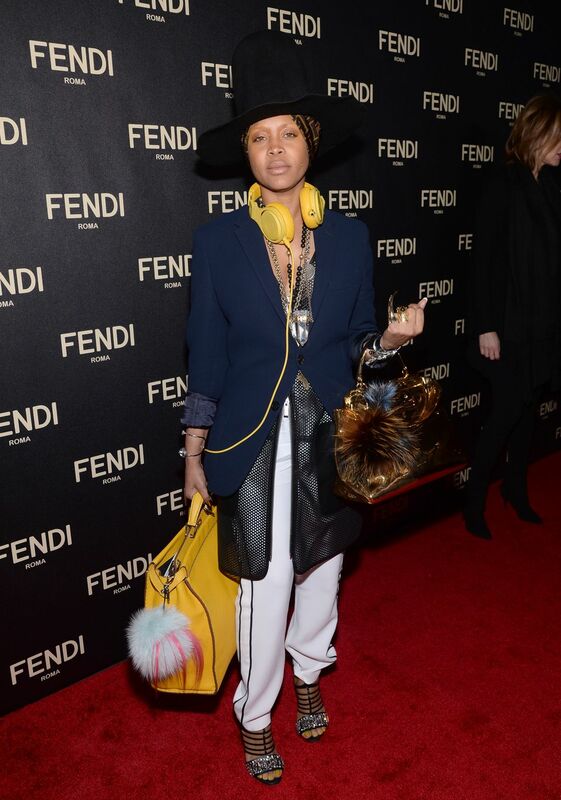 Erykah Badu DeeJay at Fendi New York store opening! When you’ve got Erykah Badu on the turntables at a fashion party, there is no doubt that the party will be memorable! 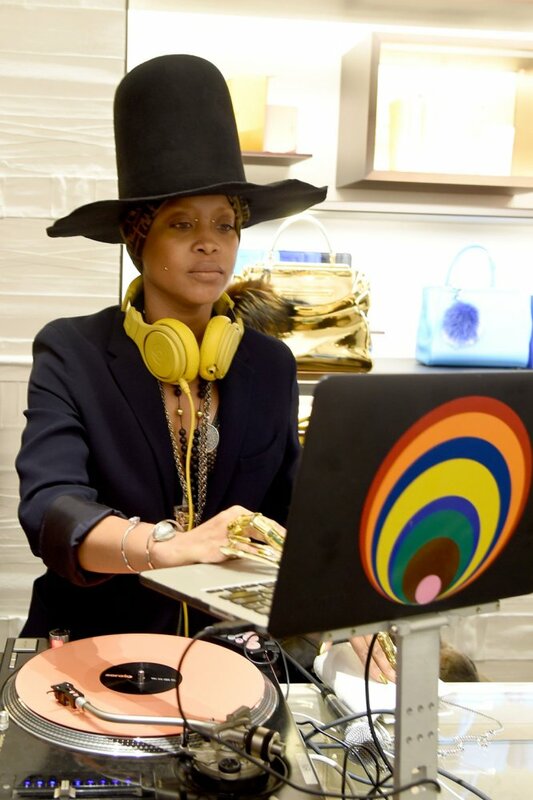 From old-school hits (“The Breaks” by Kurtis Blow) to today’s hip-hop jams (“Clique” by Kanye West, Jay Z and Big Sean), Queen Badu – aka DJ Lo Down Loretta Brown – brought her own universe at the Fendi New York store opening party on Madison Avenue. By the way, did you know that Erykah Badu never prepare her playlists? ” I’ve never prepared a playlist in my life (…) “I just pick randomly, going with the vibration of the music.” she told to the Hollywood Reporter. Karl Lagerfeld, Rihanna, Sarah Jessica Parker, Naomi Campbell,Jourdan Dunn, Hailee Steinfeld, Hailey Baldwin, Zoe Kravitz and Rosario Dawson were among the many A-listers to fete the evening’s celebration. Karl Lagarfield veut habiller les enfants!